Attend a Medicare plan meeting to learn about Medicare and your options. Tuesday, Nov. 13th at 10:00 a.m.
Thursday, Nov. 15, 2018 at 10:00 a.m.
Tuesday, Nov. 20, 2018 at 10:00 a.m.
Tuesday, Nov. 27, 2018 at 10:00 a.m.
Saturday, Dec. 1, 2018 at 10:00 a.m.
Tuesday, Dec. 4, 2018 at 10:00 a.m.
Thursday, Dec. 6, 2018 at 10:00 a.m.
Tuesday, Nov. 13th at 2:00 p.m.
Thursday, Nov. 15th at 2:00 p.m.
Tuesday, Nov. 20th at 2:00 p.m.
Tuesday, Nov. 27, 2018 at 2:00 p.m.
Saturday, Dec. 1, 2018 at 2:00 p.m.
Tuesday, Dec. 4, 2018 at 2:00 p.m.
For accommodation of persons with special needs at sales meetings, call 951-688-8801, TTY 711. This information is not a complete description of benefits. Contact the plan for more information. Plans are insured through UnitedHealthcare Insurance Company or one of its affiliated companies, a Medicare Advantage organization with a Medicare contract. Enrollment in the plan depends on the plan’s contract renewal with Medicare. UnitedHealthcare Insurance Company pays royalty fees to AARP for the use of its intellectual property. These fees are used for the general purposes of AARP. AARP and its affiliates are not insurers. You do not need to be an AARP member to enroll. AARP encourages you to consider your needs when selecting products and does not make specific product recommendations for individuals. AARP does not employ or endorse agents, producers or brokers. 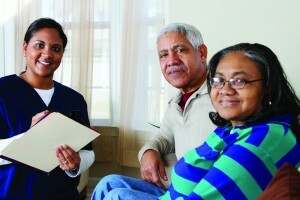 Seniors on Medicare parts A&B are able to use their insurance at Pinnacle Medical Group. The group also accepts many Medicare plans including Medicare Advantage plans, Medicare PPOs/supplemental plans. Medicare Advantage plans are a type of Medicare health plan offered by a private company that contracts with Medicare to provide you with all your Part A and Part B benefits. If you’re enrolled in a Medicare Advantage Plan, most Medicare services are covered through the plan and aren’t paid for under Original Medicare. Most Medicare Advantage Plans offer prescription drug coverage. Seniors on parts A&B only are able to call to schedule an appointment at any time. Without additional supplemental coverage (an Advantage plan or PPO plan) they will pay 20% of the cost of the doctor’s visit. Some people choose a Medicare supplemental plan that picks up the costs (20%) not covered by original Medicare. There is a monthly cost for these plans, plus participants need to buy a separate Part D plan to cover prescription costs. Usually people that can afford an extra $150-$200 per month for coverage that want to be able to walk-in to any Medicare office without a referral choose these types of plans. Our Medicare patients have told us this service has been extremely helpful so we are now offering it to you. Please call our Fontana office att (909) 427-1303 for more information about this service. Low Income seniors may qualify for special plans. Pinnacle accepts Medi-Cal patients with Medicare (also know as Dual Eligible or Medi-Medi).